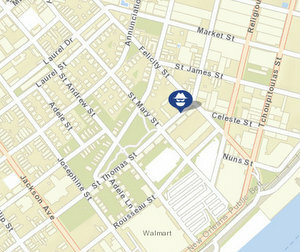 Two men were robbed early Saturday morning while sitting on a St. Thomas Street porch, New Orleans police said. The victims, both in their early 20s, were sitting on a porch in the 1800 block of St. Thomas Street (near Felicity Street) shortly before 5 a.m. Saturday, July 7, when they were confronted by an assailant with a gun who demanded their wallets, according to the initial NOPD report. They complied, and he left on foot, the report states. Further details were not immediately available. Anyone with information is urged to call the NOPD Sixth District station at 658-6060 to speak to a detective, or CrimeStoppers at 822-1111 to leave an anonymous tip that could be eligible for a cash reward.